Lobbyists for electronic cigarette companies have been beating a path to the White House. The booming $2 billion industry of e-cigarettes has so far avoided strict governmental restrictions, but that seems to be coming to an end. The Food and Drug Administration is now working to change that, proposing a rule that would bring e-cigarettes under its jurisdiction with possible requirements for companies to pay fees, list the ingredients in their products, restrict online sales and monitor advertisement to children. Lobbyists in favor of the product, including tobacco makers, physician groups and e-cigarette companies have raised an outcry against regulation claiming the future of the industry is at stake. Supporters maintain e-cigarettes are more benign than regular tobacco-related products and can help addicts quit. Other health professionals and advocates are not convinced, claiming negative health effects have yet to be fully researched and e-cigarettes can serve as a gateway to smoking especially for young adults and children. Democratic U.S. Representatives Henry Waxman (D-CA) and Peter Welch (D-VA), and Senator Tom Harkin (D-IA), wrote to the attorneys general in their states of California, Vermont, and Iowa to bring e-cigarettes under tobacco legislation by prohibiting advertising to young adults. “Youth use of these products is particularly troubling since the full extent of e-cigarette harms is not yet understood,” they wrote. Health care advocates also bring into question the use of flavorings which are banned in traditional cigarettes. Flavors ranging passion fruit to butterscotch and banana cream are used frequently in e-cigarettes, a tactic many say is used to attract children. Despite backlash, e-cigarette companies uphold their products and deem regulation would have an adverse effect on consumers who are trying to quit smoking. One major concern of companies is the restriction of internet sales. Limiting internet sales would be “devastating to the companies that have built successful businesses online,” said Cynthia Cabrera, executive director of the Smoke Free Alternatives Trade Association (SFATA). 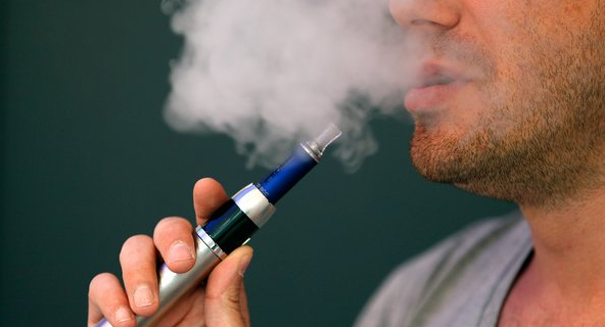 A quarter of e-cigarrete revenue comes from online sales.